How many of you know of the existence of Roscam Round tower, and its’ history? 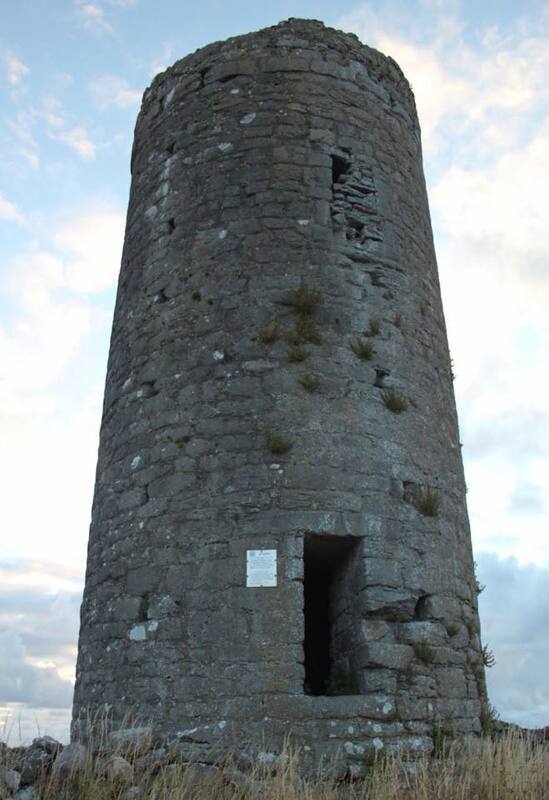 This four storey round tower is situated inside a large ecclesiastical enclosure on the shore of Oranmore Bay. This site has associations with St Patrick and St Odran. The D-shaped enclosure is 200 metres N-S and 190 metres E-W. The tower stands in the northern section. It is 10.98 metres high with a plain square headed doorway facing the southeast situated 1.85 metres above the present ground level. An interesting feature of this tower is the presence of putlog holes in the external masonry. These were normally used for temporary scaffolding during construction. Because the putlog holes are still visible it may suggest that the tower was unfinished. We do know that the monastery was attacked by norse vikings in 807, but little else is known about the history of this beautifully located site.